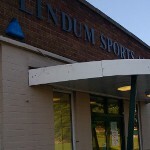 This Saturday, the 14th of December, is the Lincoln Hockey Club Christmas Party at the Lindum Sports Association. There will be games, challenges and disco etc. Please can you let me know if you are coming so I know how many to cater for. If you would like a vegetarian option please let me know also.